Buddy’s system is a combination of penetrating sealer, a satin acrylic sealer, and beeswax. Do you need to use all three? Not necessarily, but here is the scoop: The penetrating sealer is a primer. It will improve stain resistance and repels liquids. This adds further protection if there is a failure of the satin sealer, or there is prolonged exposure to staining agents. The satin sealer is a protective coat. It provides your main source of protection, particularly against acids. The wax is an optional maintenance step. 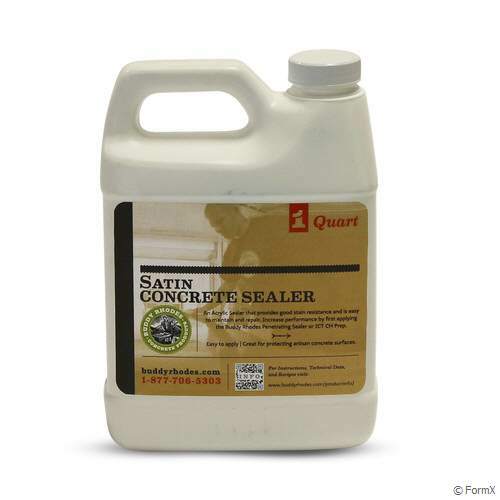 It provides a sacrificial layer, and allows for an easy process for rejuvenating your concrete. The only downside to the wax is that it is hard to remove if you want to reseal your countertops. This sealer system is easy to apply, easy to repair, and provides good protection, making it a great choice for many situations.